All of these hats were donated to my local hospital nursery for the new babies. 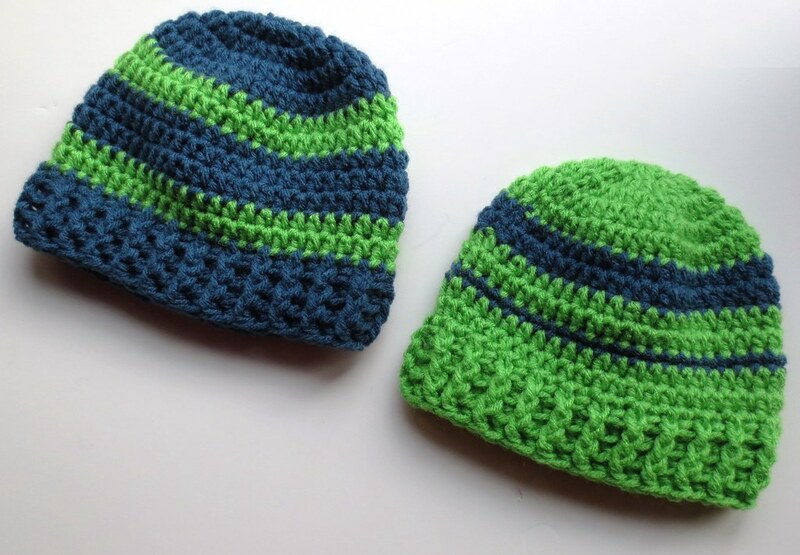 I was pleasantly surprised last week in the newspaper when I saw one of my little Seattle Seahawks crocheted hats on a newborn pictured. 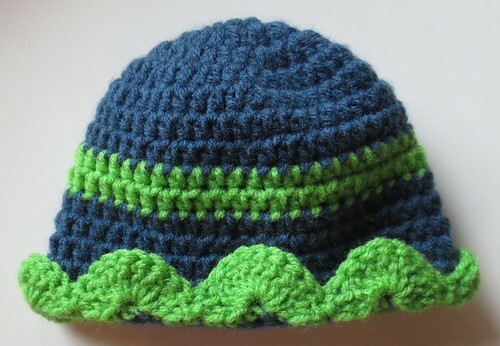 Here is one more crocheted baby hat in the Seahawks team colors. This baby hat features a scalloped edging. You can find the crochet pattern details here for adding the scalloped edging to a crocheted hat. 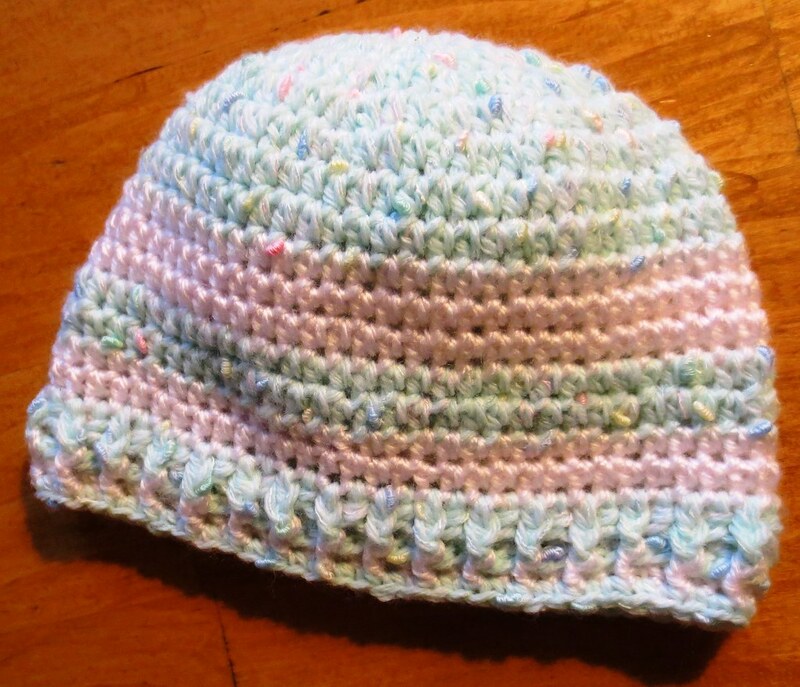 I hope you enjoyed my little crocheted baby hat roundup. 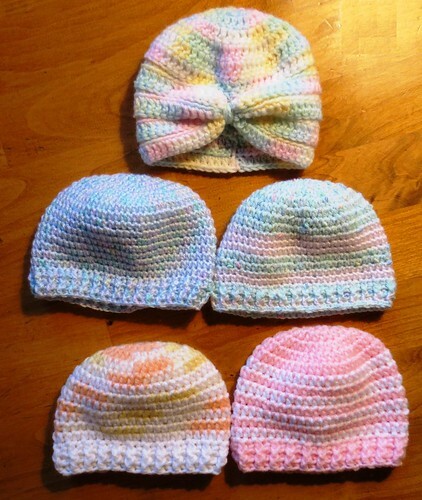 I love crocheting and making these hats for the little babies is sure rewarding! I love your crocheted baby hat patterns. I make baby that I donate to World Vision through my church. World Vision donates hats and other baby garments to babies all over the world, including the U.S. I am going to try the scalloped edging on my next hat. @Gail – So good to hear about your charity crafting. I love crocheting for charity and make different things like the Mother Bear Project that I recently started crocheting bears for. I love making baby and adult hats for charity too. Hope you enjoy doing the scallops on your next hat. Can’t explain how cute they are. A perfect gift for children. Keep going.Love all your work. My son just gave us our third grandchild and I crocheted several hats for her; she is just adorable in them. Thank you for the nice pattern. Although I can’t crochet, I have few friends who do and I know will enjoy this! TFS, pinning!